50-foot Ethernet cables and patch cords are no way to efficiently install a Cat5e network. 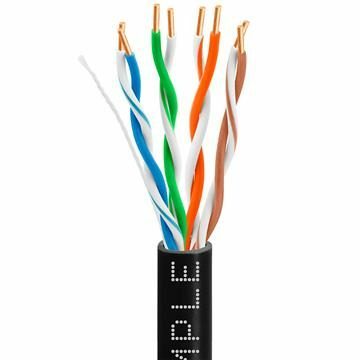 You need long cable – and our Cat 5e networking cable, 1000 ft long, gives you more than enough to set up a network with enough left for short cabling needs. You’ll breathe a sigh of relief when you’re working with our 1000 feet Cat5e network cables, knowing you’ll never run out. 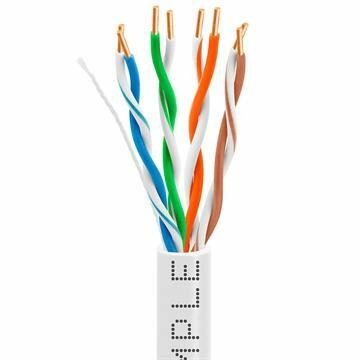 There’s much more to this Cat 5e networking cable; bulk cable is great, but it has to be exceptionally-designed to provide the gigabit speed so important in today’s world. 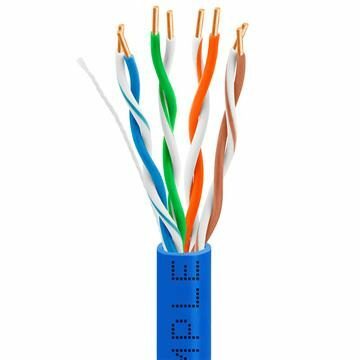 Our 1000ft of Cat5e supports 350 MHz of data transfer, is available with either bare copper or CCA 24 AWG conductors (both covered in a sturdy PVC jacket), and our Cmple Cat 5e network cable (1000 feet) comes in standard, wall-rated, plenum-rated or outdoor-rated versions, plus ten different colors: white, black, gray, blue, green, orange, yellow, purple, red and pink. Don’t run out – buy bulk.